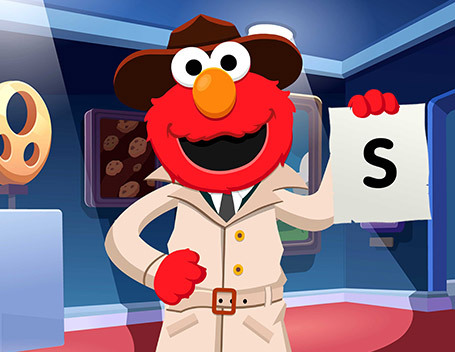 Detective Elmo: The Cookie CaseHelp Elmo crack the cookie art case! 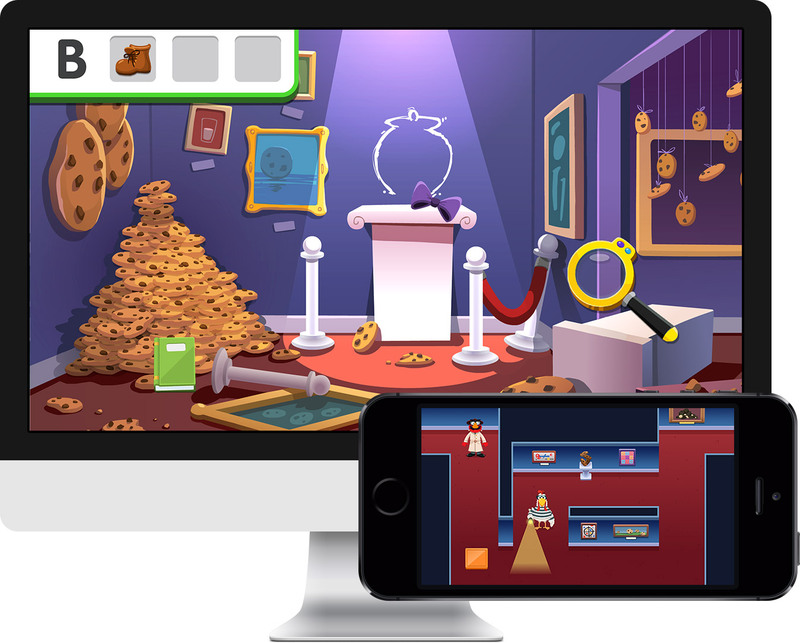 Join Elmo in this mystery-solving HTML5 game that incorporates executive functioning while challenging the player to use their detective skills. 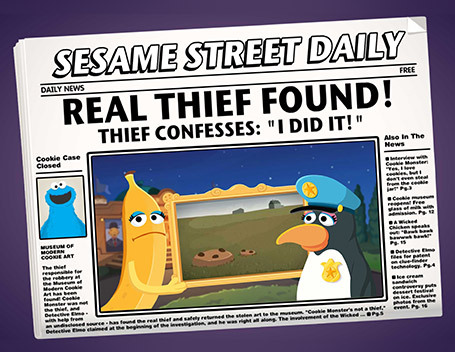 As a spin-off from the Sesame Street TV Special, “The Cookie Thief”, kids help Elmo track down a series of copy-cat thieves who have begun stealing more art from The Museum of Modern Cookie Art. 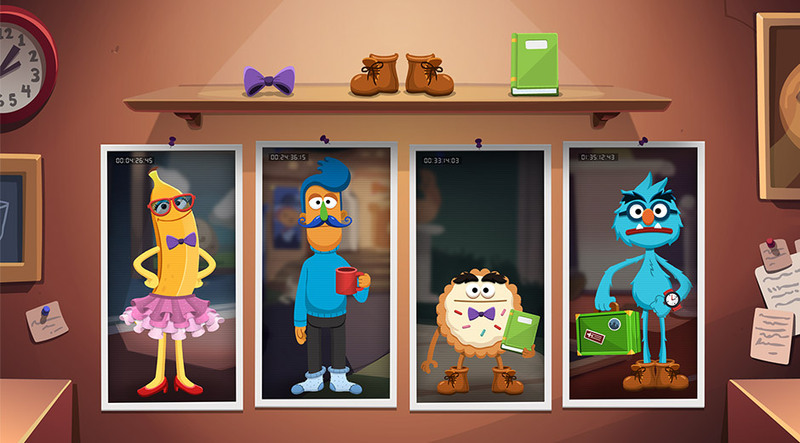 The Cookie Case features animated cinematics with Elmo, unique character designs, and even multiple potential endings (for up to eight possible thieves). CloudKid produced all artwork, UI design, animation, game design and programming for the experience.